The Madras Performing Arts Center is proud to welcome opera back to its stage. With a live orchestra conducted by Michael Gesme, OperaBend, in partnership with the Central Oregon Community College Department of Fine Arts and Communication will bring, "Don Giovanni" to the PAC stage for one show only on Sunday, April 7, at 3 p.m.
"Don Giovanni" is a world-famous opera written by Mozart and based on the legend of Don Juan. It has been performed for more than two centuries and remains one of the top 10 performed operas worldwide. The opera is sung in Italian, but not to worry, supertitles in English will be projected above the curtain, so all audience members can follow the story line. OperaBend's production will feature performers that have graced the PAC stage before. 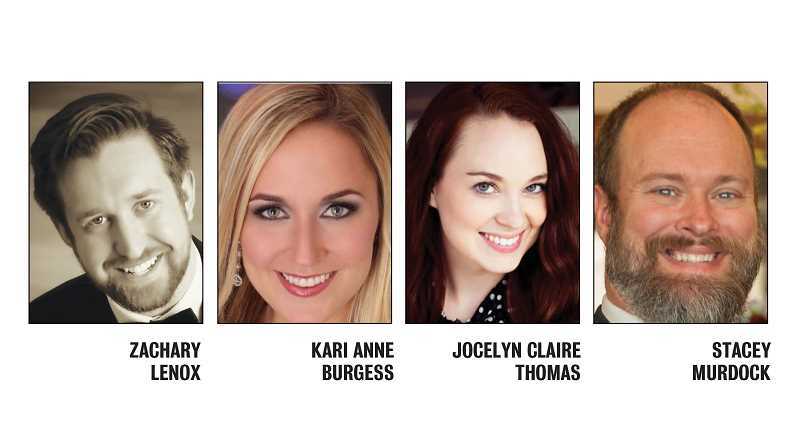 Some of the principals include Kari Anne Burgess as Donna Anna, Jocelyn Claire Thomas as Donna Elvira, Zachary Lenox as Don Giovanni and Stacey Murdock as Leporello. "Don Giovanni" is performed in two acts, and promises to be an event not to be missed for the Jefferson County community. Tickets are available at www.OperaBend.org or at the door, at a cost of $20 per adult and $5 per student.